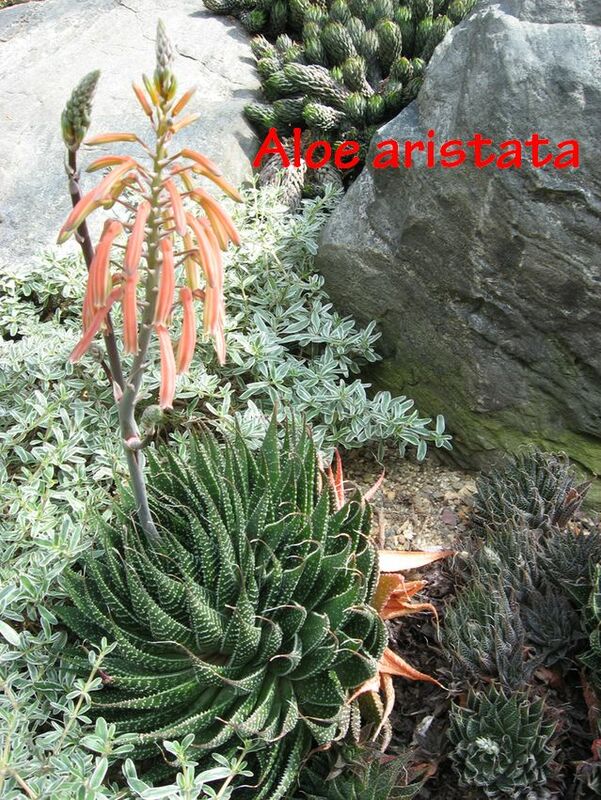 The succulents are a very large and broad set of unrelated plants that are grouped together based on the fact they all have thickened parts that store water. Many, Many plant families have some members that have developed internal water storage as an adaptation to dry climates. That adaptation to dry climates is what makes then very useful to us here in Texas with are dry and erratic climate. Over the years I have been interested in these plants. Years back I spent a lot of time learning about the plants of the desert of Texas and Northern Mexico which included many types of succulents. Over the last five years I have been studding the succulents from other arid areas looking for those from colder parts of those areas for species that could be cold hardy for us. Some of the things I have found out is that of the 500+ species of Aloes about 60 are cold hardy and there may even be 20 or so that could be grown in Dallas. So McNeal Growers is collecting those plants and trying them out to see if they can survive. 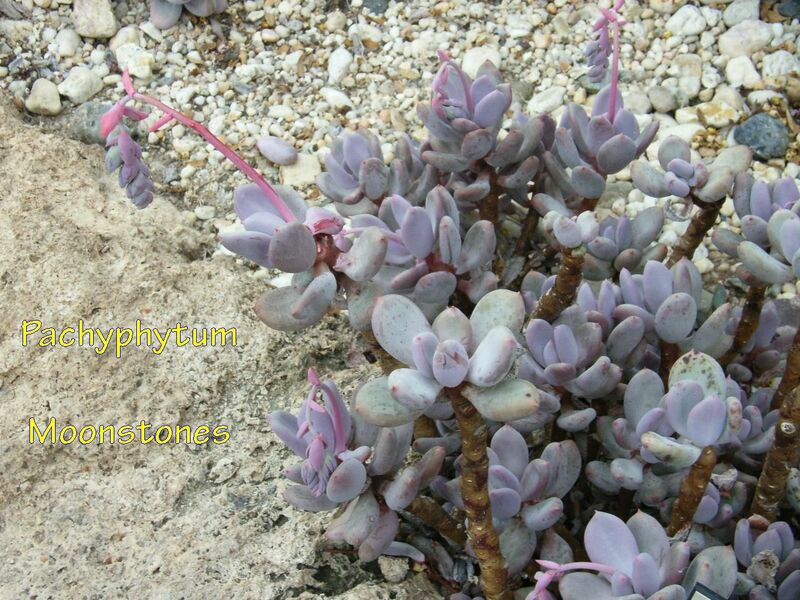 I have done the same for other groups of succulents like Echeveria, Graptopetalum, Pachypodium, Sedum etc. The first thing you have to do to learn how to select the proper plant species is know the nature of the cold in your climate. California has a dry summer and a wet winter. Arizona has a dry winter and a weak monsoon rains in the summer. Here in Texas our climate is so erratic that any month we can have no rain and by the same token we can have 20 inches of rain. In the North east it is humid most of the year except during very cold spells and so they tend to want to make sure plants have enough moisture before the ground freezes. In most deserts the soils tends to be newer and less weathered. With less rain there is less weathering of the rock and there are not a lot of fine clay particles cease it takes millennia to weather rock particles down to the size of clay particles. In wet areas soils tend to weather faster and the soils can weather down to very fine clay particles. This means that are drier have soils that tend to be soils with larger particles like gravels and sand. This means they normally have much better drained soils. Better drained soils are drier soils. One advantage of dry soils is they don't tend to be as actively biologically. That means less active disease organisms. Desert plants are more susceptible to things like soil fungus because dry lands plants may not develop resistance to soils diseases because the soils are to dry to support dangerous bacteria and fungus. What this means for us is you need to makes sure the soil is super well drained with a minimum of clay or other fine particle soils. This will keep the soil from becoming overly wet especially during intense rain periods. I would also speculate that a dry land plant planted in to wet soil cannot stand as much cold as one planted in dry soil. A desert plant dealing with too wet soil may overly stress that plant like lowering the immune system of a person so the plant is less vigorous in the face of the stress of cold weather and raise the temperature at which it can be killed. The USDA has a cold hardiness zone map USDA Cold Hardiness Map"
This map shows broadly how cold it gets in the US. The problem is it is not very fine tuned. In the Austin area we go from my place in low area by Onion Creek that has Zone 7 cold every year to south facing slopes that are like Zone 10 in Austin that stay above freezing almost every year. So you need to know where you are planting. Cold air sinks so the coldest areas are the lowest the warmest are the hill sides that face the south where the cold air sinks away from and the sun heats during the day. Because of all the bare concrete and asphalt, the heat builds up in the city and keeps it warmer so quite a bit of urban Austin is Zone 9. The Biggest problem is one winter you have Zone 8 temperatures and the next winter you only have Zone 10 temperatures.